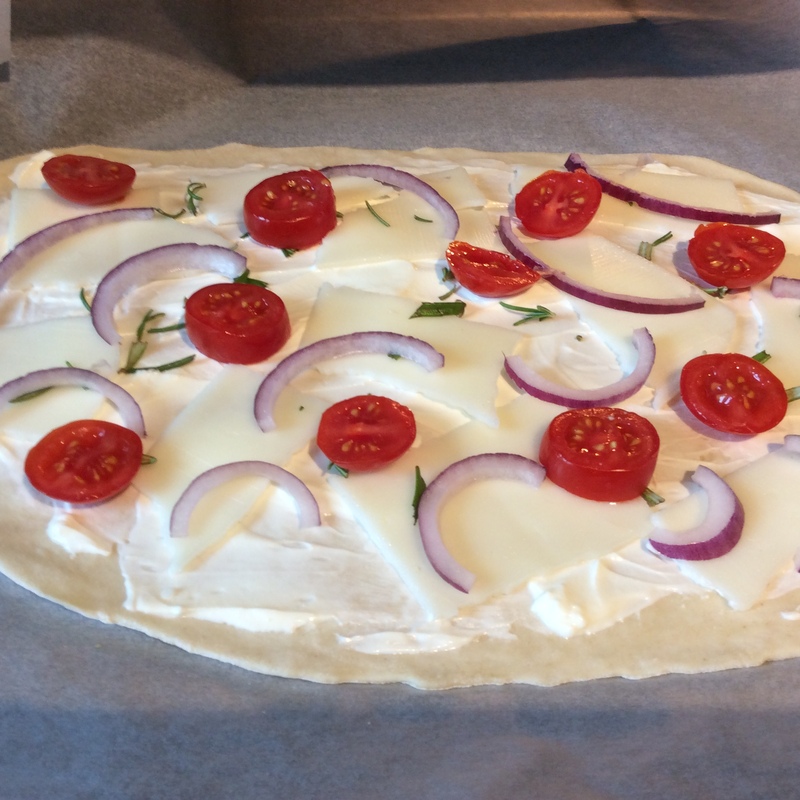 This recipe for Flammkuchen with Goats Cheese is one of my favourites. 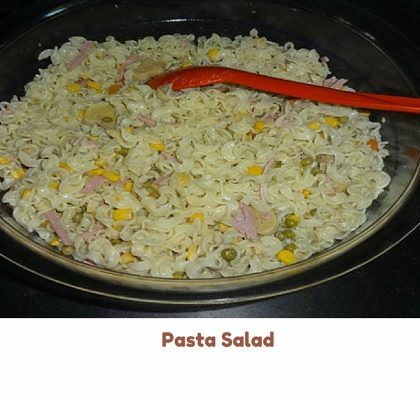 It is based on the really popular German/ French dish. Its easier to make than pizza and can be topped with all sorts of ingredients. It has grown in popularity since I have been here. 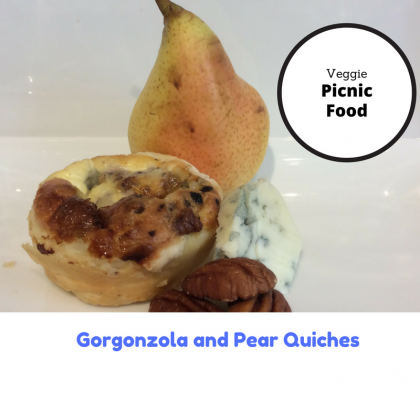 This version is a vegetarian alternative to the classic one. 1. 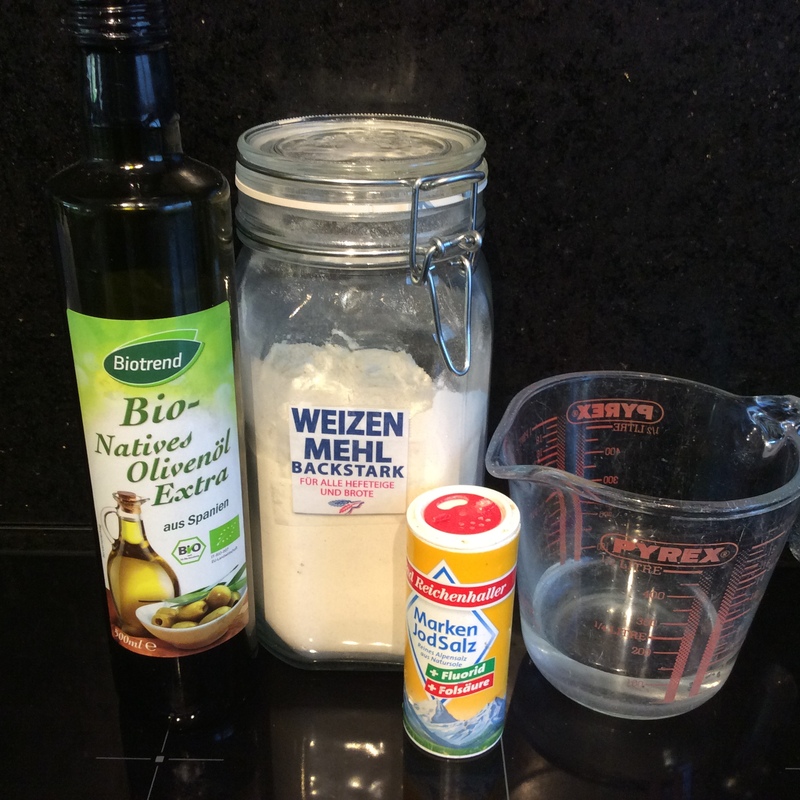 Mix the dough ingredients together in a bowl, you may need a little bit less or a bit more water. 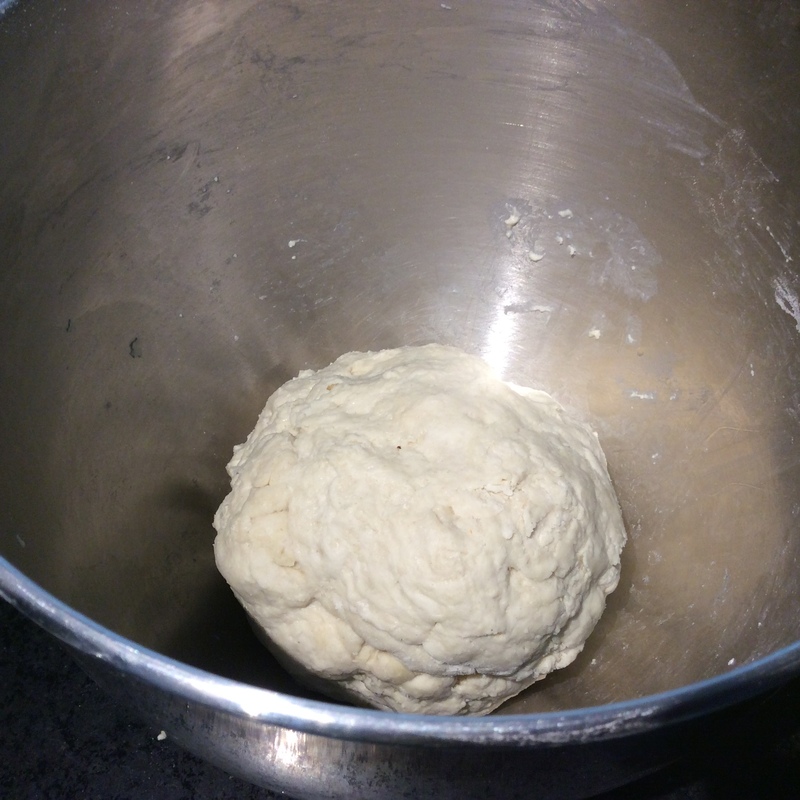 You are aiming for a ball of smooth dough. Knead together for 5 minutes and then place in a freezer bag and cool in the fridge for 30 minutes. 2. Split the dough into 2. Dust a chopping board with flour and roll the dough out till it is 2 mm thick. 3. Heat the oven to 230 degrees centigrade or even hotter up to 250 degrees if it will go that far. 4. 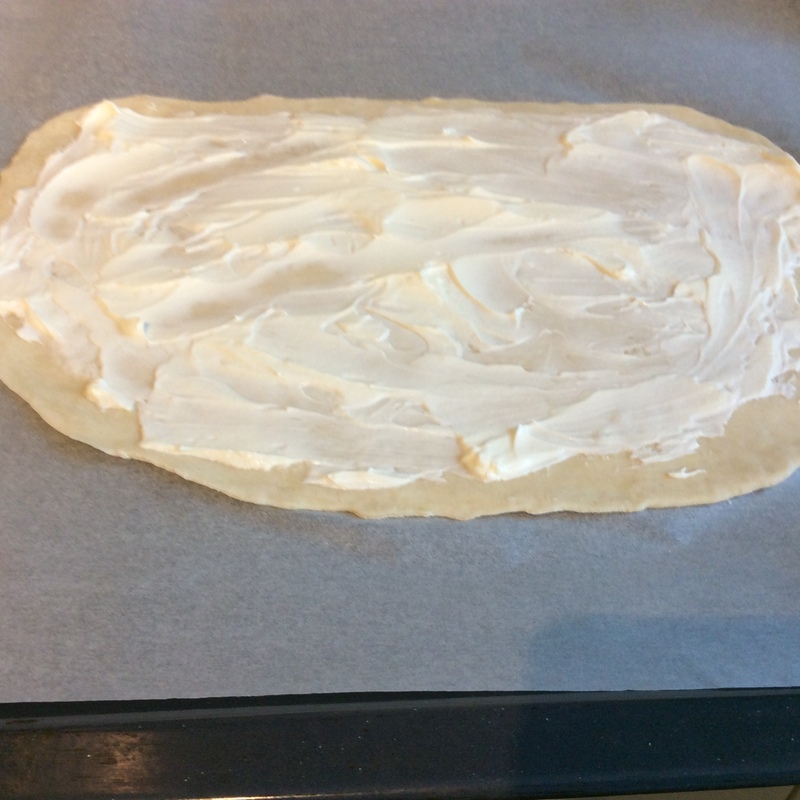 Place on baking paper and put on a baking tray. 5. Spread a thin layer of creme fraiche on the dough, approx 1 to 2 mm thick, 1 pot should be more than enough for the 2 pieces of dough. 6. Top with the goats cheese and sliced cherry tomatoes and onions and a sprinkling of chopped rosemary. 7. Cook for 12 to 17 minutes until the base is crispy. 8. 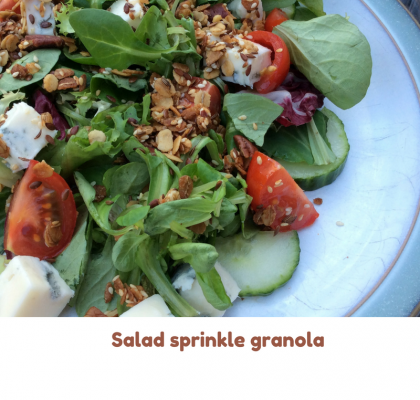 Serve with an optional drizzling of honey and a few sprigs of rocket. 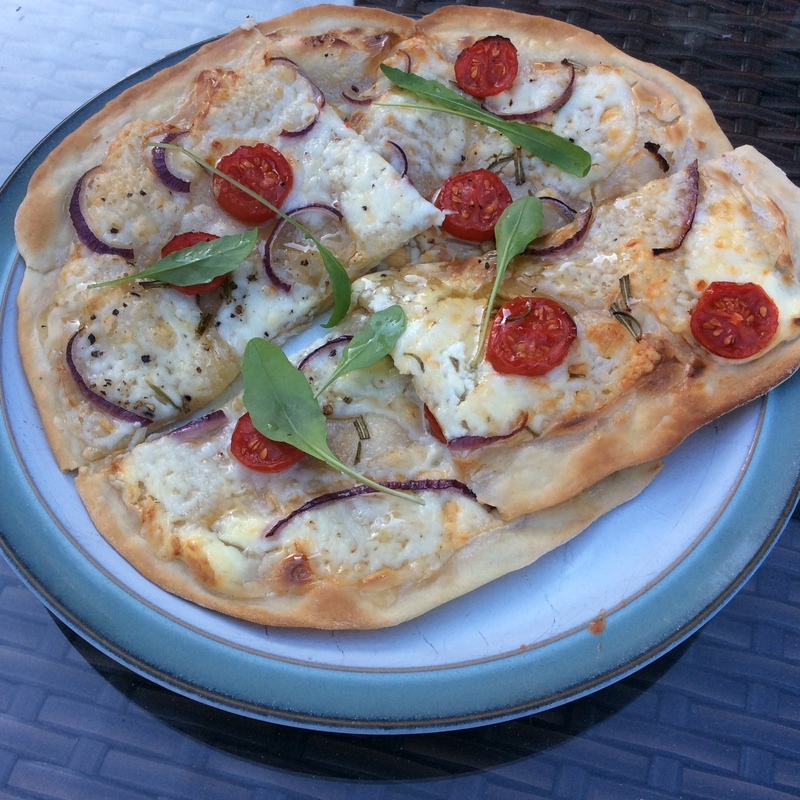 Flammkuchen with Goats Cheese is a delicious vegetarian alternative to the classic one using bacon. 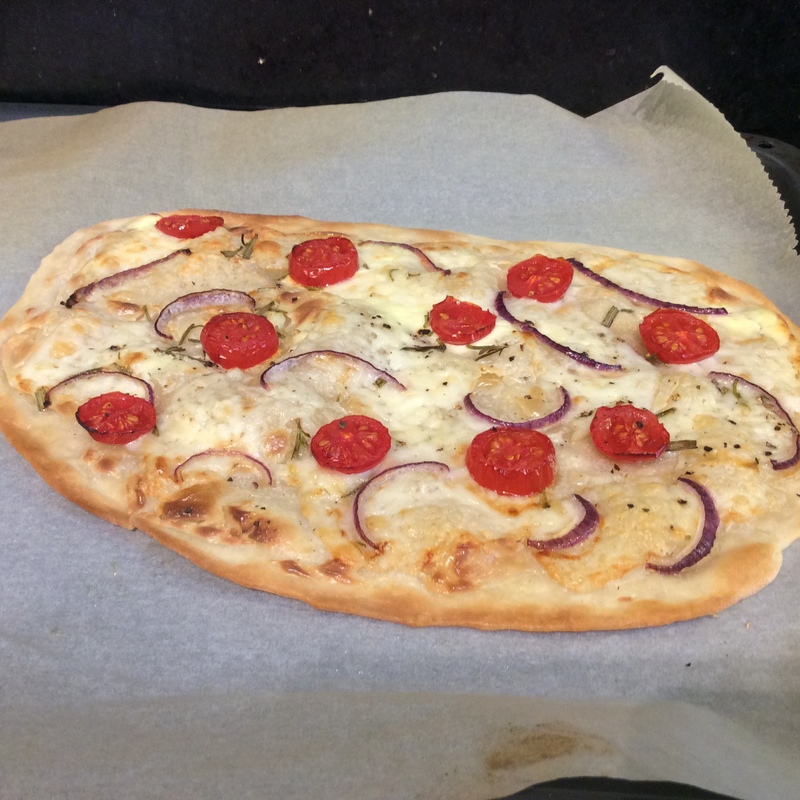 Added flavour comes from including Rosemary, red onions and tomatoes , with a drizzle of some honey on it after it has cooked if you like it. You can use what ever flavour combinations you like. I would advice not using too many or too much as it makes it harder to get a crispy base. Let me know in the comments field if you come up with some good flavour combinations. Cook in the hottest temperature your oven will go to and on a pizza stone if you have one.